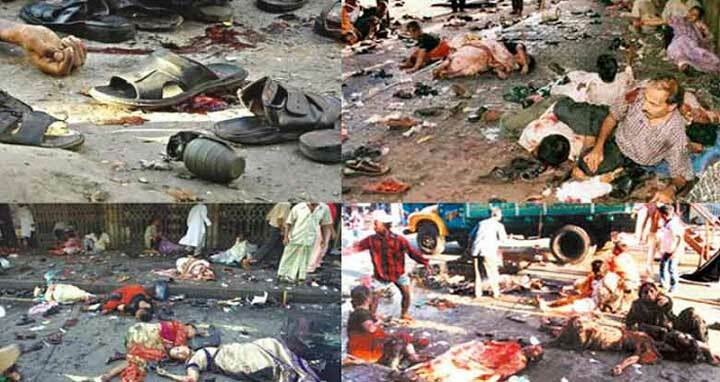 Dhaka, 10 October, Abnews: A court here today sentenced to death to 19 people including former junior home minister Lutfuzzaman Babar and life imprisonment to another 19 including ex-premier Khaleda Zia’s fugitive son Tarique Rahman on August 21, 2004 grenade attack charge. Judge Shahed Nuruddin of Dhaka’s Speedy Trial Tribunal pronounced the judgment ordering Rahman to be exposed to prison term for life along with 18 others and sentenced 19 people including ex-junior minister Lutfuzzaman Babar and ex-deputy minister Abdus Salam Pintu and several former army intelligence officers to death penalty. “They (who are sentenced to death) shall be hanged by neck until they are dead,” Nuruddin pronounced as 31 of 49 the accused were present on the dock while several others are on the run abroad to evade justice. He found all the 49 guilty and sentenced to different jail terms the rest 11 for the attack that killed 24 people and wounded some 500 others, crippling some of them for life. The judge also made 12-point observations on the background, motive and consequences of the attack, mainly targeting incumbent Prime Minister and then opposition leader Sheikh Hasina, who narrowly escaped the assault sustaining wounds. Investigations earlier found an influential quarter of the then BNP-led government, including Rahman, masterminded the assassination plot and sponsored the attackers — the operatives of militant Harkatul Jihad al Islami (HuJI). The two former junior ministers and two former military officers who headed two major intelligence agencies at that time of the grisly attack faced the trial in person. “We are taking steps to return the fugitive convicts and expose them to justice,” home minister Asaduzzaman Khan Kamal told newsmen as the verdict came after a protracted trial for the gruesome attack on the an opposition rally with military weapons. The death penalty convicts are: Babar, Salam Pintu, Mawlana Tajuddin, intelligence officials Major General (retd) Rezzakul Haider Chowdhury and Brigadier General Abdur Rahim, transport operator Md Hanif, militants Mawlana Sheikh Abdus Salam, Abdul Mazed Bhat, Abdul Malek, Shawkat Osman, Mohibullah, Abu Sayeed, Abul Kalam Azad, Jahangir Alam, Hafez Abu Taher, Hossain Ahammed Tamim, Moin Uddin Sheikh, Rafikul Islam, Md Uzzal. Those who are to walk to gallows, provided the High Court confirms their death penalty after a mandatory review, were simultaneously fined Taka one lakh each. Other then Rahman, the political figures who were handed down life imprisonments are ex-premier Khaleda Zia’s the then political adviser Haris Chowdhury and former BNP lawmaker Qazi Shah Mofazzal Hossain Kaikobad. The others to serve the life term prison are: militants Shahadat Ullah alias Jewel, Abdur Rouf, Sabbir Ahmed, Arif Hasan, Hafez Yahia, Abu Bokor, Ariful Islam, Mohibul Muttakin, Anisul Mursalin, Mohammad Khalil, Jahangir Alam Badar, Mohammad Iqbal, Liton, Shafikur Rahman, Abdul Hai and Ratul Ahmed Babu. They all were fined Taka 50 thousand each in the case lodged under Explosive Substances Act.